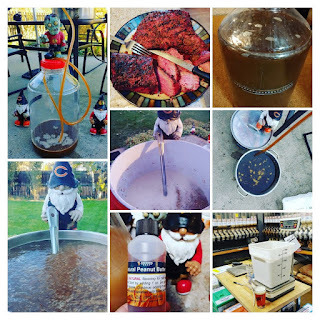 So, I brewed my 2018 X-Mas Ale a couple Sundays ago. 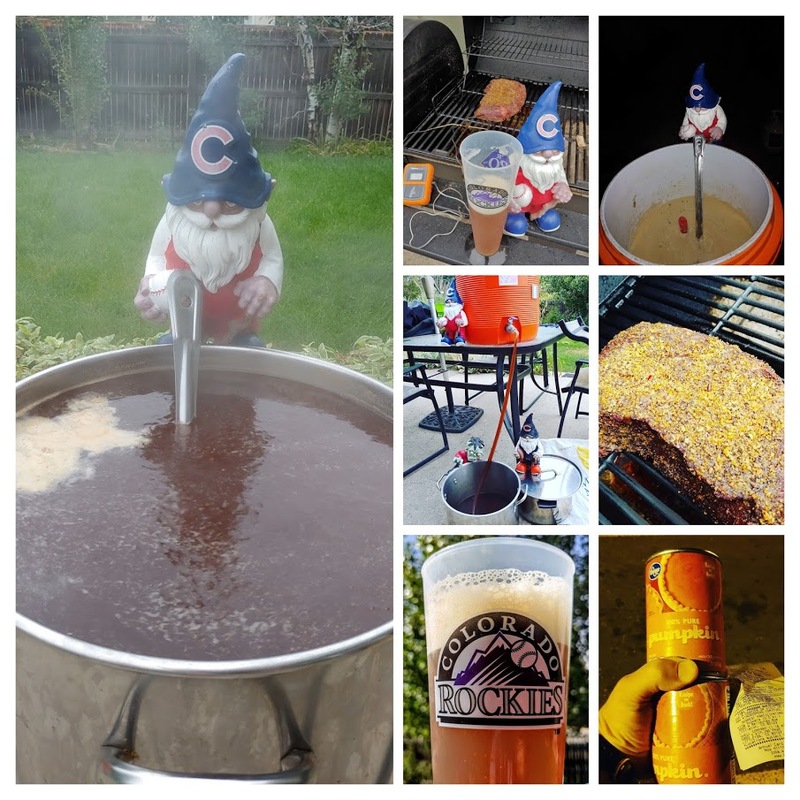 As you may remember, every year I brew a different X-Mas Ale. 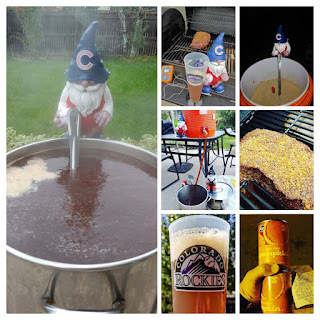 You can read about most of them right here on Sheppy's Blog: X-Mas Ales. They are all winter warmer base beers with various flavorings. This year's version was designed to be slightly lighter in color. The unique flavoring this year is Peanut Butter. As you might have noticed over the years from my GABF posts, that my wife (aka the SheppyBrew Beer Model) really enjoys trying out Peanut Butter beers. I've been surprised quite a few times since this year's GABF, when I mention peanut butter beers (or chocolate peanut butter beers) how surprised / disgusted people initially are. The 3rd quarter is done. On the last day of September, I brewed my 2018 version of Falling Leaves Autumn Saison. Falling Leaves is, of course, the Autumn version of my Seasonal Saisons series of beers. It is darker in color than the Spring and Summer Saisons, but not as dark as the black Winter Saison. Just for the fun of it, I threw some pumpkin in the recipe as well. The beer is pretty interesting. It gets most of its color from a Dark Munich malt from Gambrinus Malting Corporation. The malt flavor is heavily Munich breadiness, but it does have the distinct French Saison taste from the yeast and lots of late Saaz hops. It is a delicious beer. 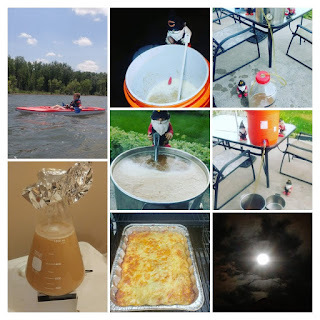 I really liked hitting the State Brewery Guilds. For the first time, I used the GABF Phone App to take notes, and it was much better than carrying pen and paper. Getting into the building was even a smoother process than in past years.